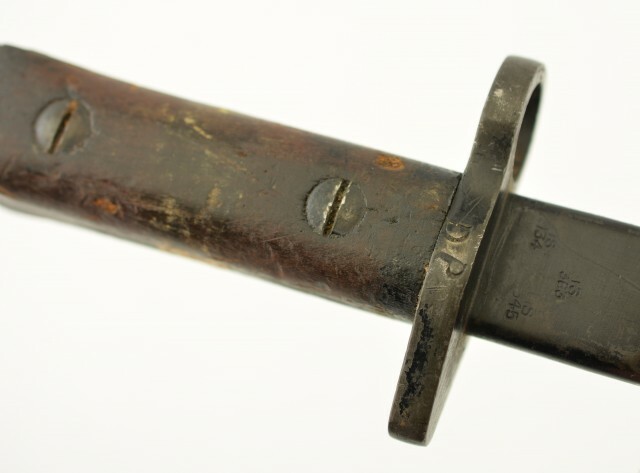 Description: This bayonet is clearly marked MK.II*. However it most definitely is not that pattern. The pommel is squared , grip is straight, and the unfullered blade has a two inch false edge. These are only found on the No 1 MKIII. Metal surfaces show 85% black Japanned finish. Grips show wear and soiling. 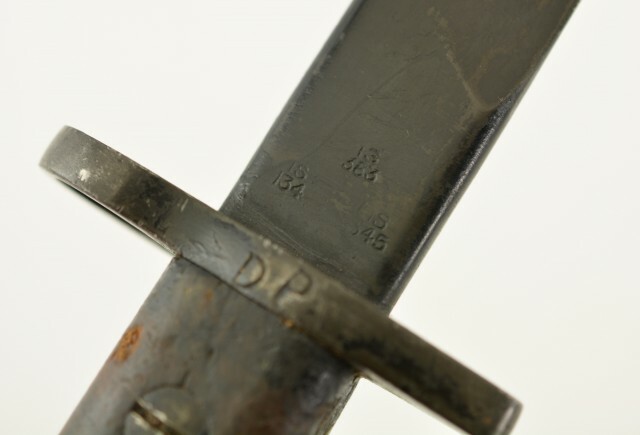 Handgrip shows remnants of a white painted band and right side of guard is stamped "DP". 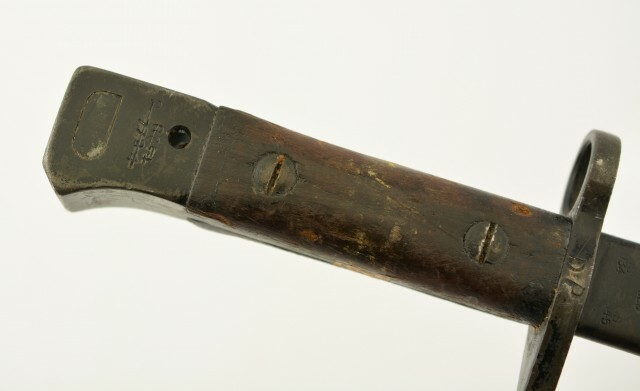 Pommel shows several unite marks, ricasso shows typical markings with 4-44 inspection date. An interesting Ishapore bayonet. No scabbard is present.